Read more about the Lower Mississippi River Foundation on their website. (L-R) MDNHA chair Dr. Myrtis Tabb presents the grant to writer Boyce Upholt, with MDNHA executive director Dr. Rolando Herts and MDNHA grants committee chair Kim Terrell. 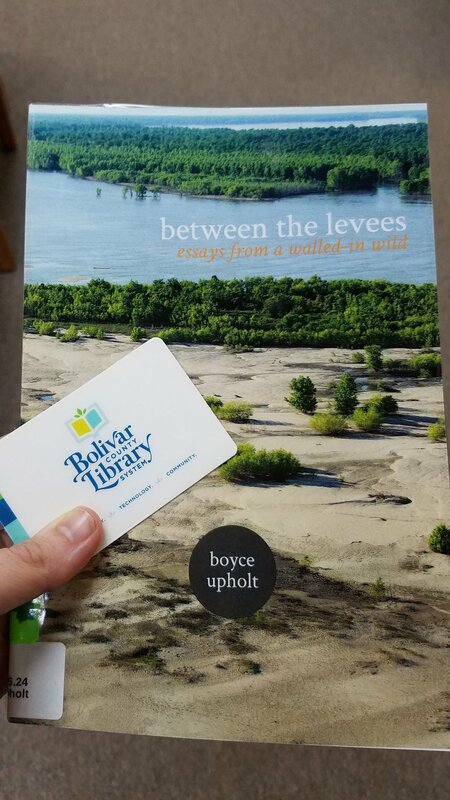 This grant supported the publication of 13,000 words that document the Mississippi River batture in local, regional, and national magazines, and seven public presentations on the topic. In addition, a chapbook of 9 essays titled “Between the Levees: Essays from a Walled-In Wild” was published in limited quantities. It has been available for sale locally, and is found in three local public libraries. Boyce Upholt is an award-winning Mississippi Delta-based freelance writer with a particular interest in the way we shape place and the way places shape us. Boyce was named a 2016 "Writer of the Year" by the International Regional Magazine Association for his work at Mississippi Magazine, where he is the small-town spotlight editor. Boyce is also a professional member of the James Beard Foundation and a 2017 fellow with the 11th Hour Food & Farming Journalism program at U.C.-Berkeley.